Israel’s divorce law requires that Jews in Israel must be divorced only in the Jewish religious courts. Clearly this discriminates against women since only a husband has the right to grant his wife a divorce (a “get”) of his own free will. This religious requirement leads to a host of further discriminatory consequences. 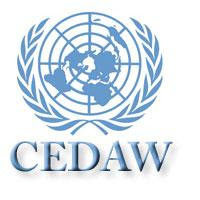 The 1979 Convention on the Elimination of All Forms of Discrimination Against Women (“CEDAW”) has now issued a report concluding that Israeli law in this regard is discriminatory and should be changed. The Israeli member of the panel, Ruth Halperin-Kadari, -- who is a well-recognized legal scholar and the head of Bar-Ilan University's Rackman Center for the Advancement of Women's Status – reportedly applauds the demand (see the Haaretz article below). She states that that this is the first time that a UN committee has so clearly stated that Israel must allow civil marriage and should do all it can to end the discrimination against women in family law. "Noting that all Jews in Israel can be married and divorced only in the rabbinical courts, which are male dominated and completely governed by religious law, the Committee is concerned about discrimination against women in the context of divorce in such courts, in that only the husband has the right to grant his wife divorce (the “get”) of his own free will. The Committee also expresses its concern at recent cases of retroactive invalidation of divorce, to the detriment of Jewish women. The Committee is further concerned about the continuing practices of polygamy and under-age marriage of girls that are legitimized under different religious laws governing personal status. (e) Take effective measures to enforce adherence to the minimum age of marriage, and, in this respect, take measures to raise the minimum age of marriage to 18 years for both women and men." There is no meaningful equality in Israel between men and women when it comes to matters relating to marriage and family relationships, according to a new UN report. The report was compiled by a panel of experts overseeing implementation of the 1979 Convention on the Elimination of All Forms of Discrimination Against Women. The panel submitted its conclusions to Israeli authorities in February of this year. The panel, which includes representatives from several countries, receives reports on gender issues every four years. These reports are based on each country's official statistics, as well as reports by non-governmental organizations, and interviews of state officials conducted by the panel members. Prof. Ruth Halperin-Kadari, who heads Bar-Ilan University's Rackman Center for the Advancement of Women's Status, is a member of the panel. The Rackman Center is about to publish a guide to the international convention and the conclusions of the oversight committee that will include the recommendations made to the Israeli authorities. "There's a huge gap between rights that are formally granted, and the lack of implementation and enforcement of the laws," said Halperin-Kadari. Halperin-Kadari added that this was the first time that a UN committee had so clearly stated that Israel must allow civil marriage and do all it can to end the discrimination against women in family law. The committee also stated that domestic violence and violence against women were still widespread in Israel. The panel also expressed concern over the scope of trafficking in women and the wide income gaps between men and women"